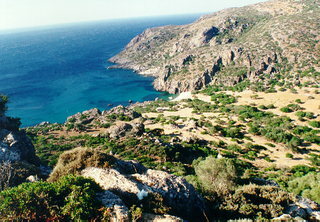 The site was the religious centre of the cities in south-west Crete. It flourished during the Hellenistic and Roman periods. In 1957-58 the Asklepieion was excavated by N. Platon.